Connect with Decision Makers in the Canadian Lab industry and from around the world. Build Relationships with increasingly inaccessible Laboratory Executives responsible for decisions involving your products. Contact Mary Anne Cecutti at macecutti@exec-edge.com or telephone 416-488-0834 for sponsorship opportunities. What our Sponsors have to say about executive EDGE. 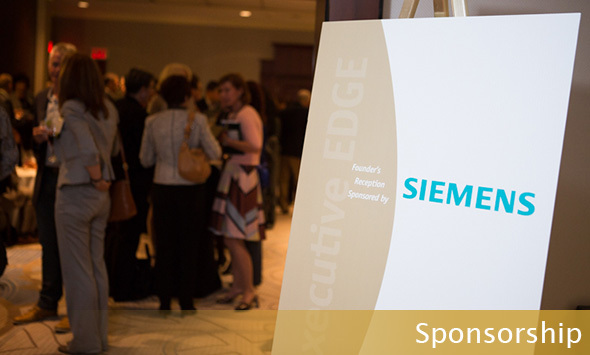 Executive Edge is one of events that we take great pride in supporting. I would like to take the opportunity to thank you once again for everything while at the conference earlier this week. It was indeed a great event. We look forward to the 2017 edition and it is safe to say you can count on our support. I just wanted to say thanks for another great conference. It is always a pleasure attending!! There is a lot of great buzz about the topics/speakers/flow of the conference. Thanks for another great Executive Edge!! You did a fantastic job once again!! It is good to have US/Canadian mix to share the evolution of changes and challenges. Communicating and sharing of ideas with leaders and champions will help attendees move forward to action.